This was the first “system” in the world that combined two tyres with a different tread: directional at the front axle and asymmetric at the rear axle. A solution conceived for the most prestigious sportive and luxury cars. Depending on the use and the type of car the P ZERO™ SYSTEM concept envisages the use of the P ZERO™ Direzionale on the front axle and the P ZERO™ Asimmetrico on the rear, or P ZERO™ Asimmetrico on both axles. 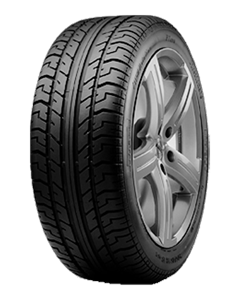 Using directional tyres on the front maximizes the expulsion of water. In this way the asymmetric tyres fitted on the rear axle encounter a drier surface. The result is high directional stability and, also at higher speeds, exceptional levels of grip on dry and wet surfaces and high resistance to aquaplaning. Very friendly service, the information I given was honest and useful. Excellent service from all the staff. Went there with my 8 year old Volvo I had recently bought to enquire about servicing and, as it was "not a car they were familiar with" (in other words not one they had sold themselves) came across rude and uninterested. Overheard then talking to another customer where they appeared to be adding many unnecessary checks and services which at an unbelievable £135 / hour was not going to be cheap. Unless you have a new Volvo and want to keep the main dealer history, find a good independent garage and get polite caring service at a realistic price. Being a Volvo dealership means it's not the cheapest but the service and customer care is top notch. The staff are helpful, professional and friendly. The complimentary will coffee and biscuits are welcome and the work carried out has always been of the highest quality. The best dealership I have used.